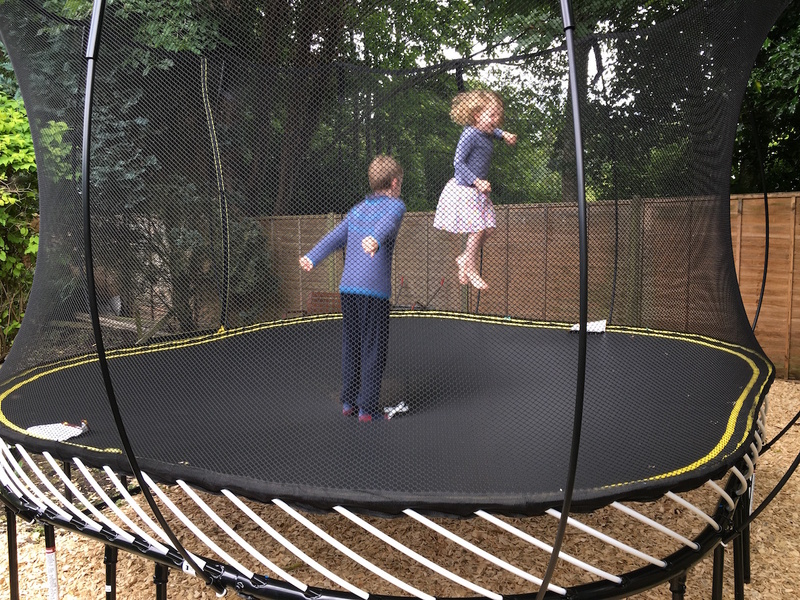 For many years now we have wanted to get a trampoline. But not just any trampoline, a Springfree trampoline. Friends of ours in New Zealand had one and their kids loved it (and still do). 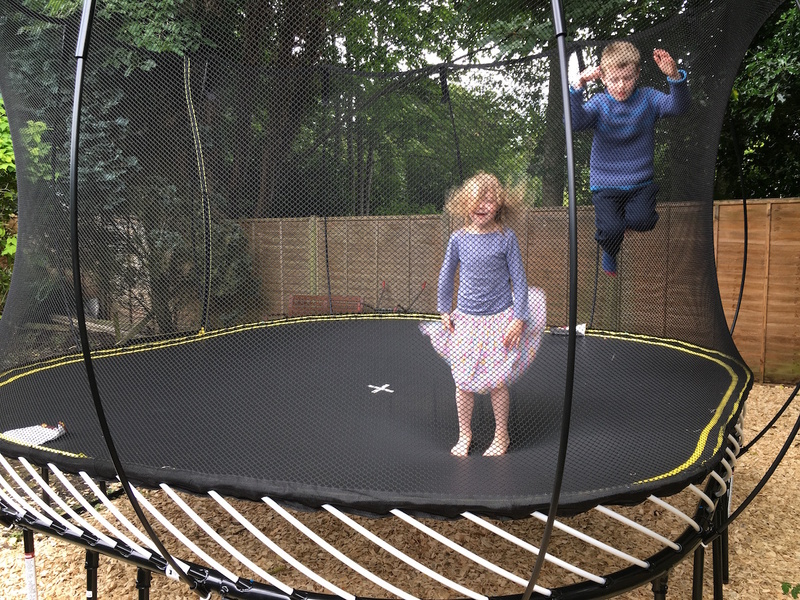 The inventor of the trampoline is also an engineer at the University of Canterbury in Christchurch where Ben used to work. We finally got one! We got the large square and it is fabulous fun. It says in the small print that children should jump one at a time but that’ll never happen. I even jumped with them for a bit and this was probably a bad idea because of the double-bounce effect which was greater when I was on it. I haven’t laughed so heartily in a long time. It seems to be good exercise too because I was out of breath but that might have been because I couldn’t stop laughing. 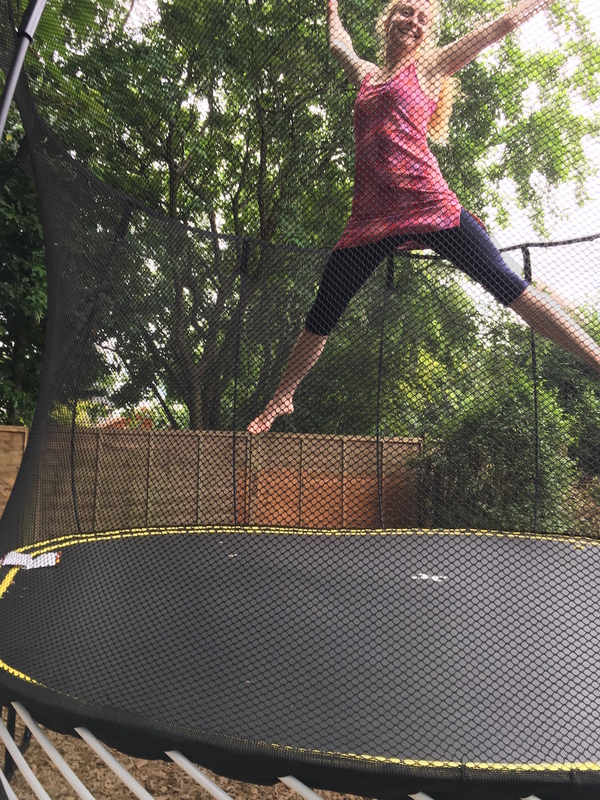 Posted in Journal and tagged bounce, exercise, fun, Kids, Springfree, trampoline. Bookmark the permalink. It is! More so than I was expecting. Another good use for trampolines is napping in the sun 🙂 So comfy. Not sure that I’ll get to do that with all the trees around. But I’d rather have the trees. Be careful… some trampolines are cursed. Have you got it shipped from NZ? 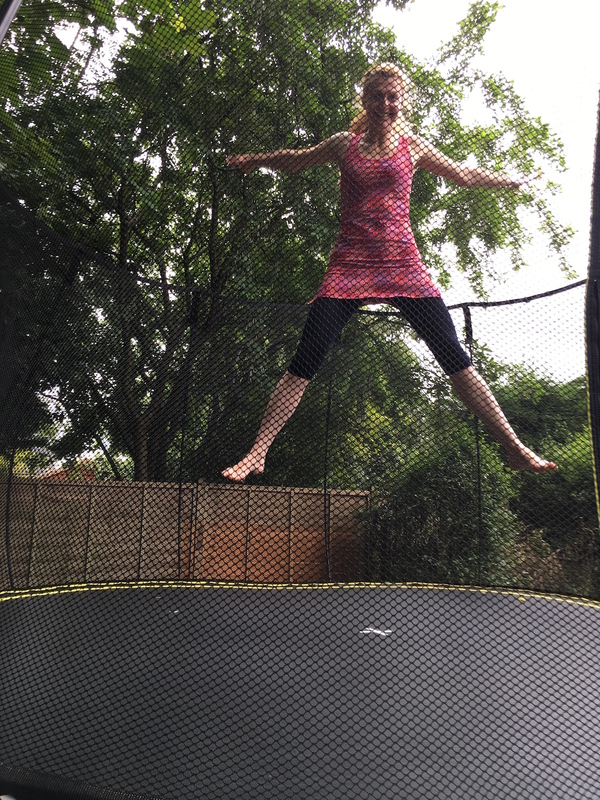 Who says trampolines are just for kids? I bought it here. Spring free trampolines can be bought all over the world now. That’s a clever design. I remember just chancing it when my kids were small and trusting that they would be OK. My parents got anxious though and paid for a net, however the one I ordered was too cheap and flimsy and fell down. Maybe not helped by some little tyke trying to climb up one of the poles. In some ways not having any net is better than having a flimsy one because kids will be more cautious if there’s no net. That was always my reasoning – they were and still are both quite physically adept and able to judge situations well. Someone gave us the trampoline and the headache of trying to find a decent net to retrofit to it was something just a step beyond me.